You might be reading this article just because you are on a search for the best portable ice maker on the market today. However, let me assume that a few of you have no idea about what a portable ice maker is and what its benefits are. 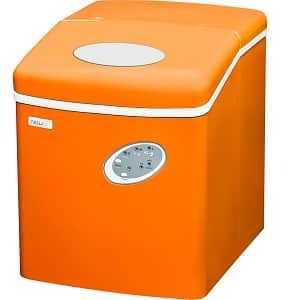 A portable ice maker is an electronic device that you would crave for at summer seasons if you plan on having a cold mojito or anything that would give you a relief. Most of the people do not want their guest to be stuck without having a cold drink to comfort them. Such people all of a sudden rush to the nearest store to get something cold; this is a real pain to deal with. Under such circumstances, a portable ice maker is a blessing that you cannot resist. So, what exactly is an icemaker? Is it a refrigerator or a freezer? Most of the people who heard the name icemaker for the first time get confused about what exactly a portable ice maker is, to be simple, no, an icemaker is not a refrigerator or a freezer. This device under no circumstances could be used as a refrigerator or a freezer. Now, to your knowledge, an icemaker is just an electronic device into which you pour in some water and the device makes you ice. Now, let me tell you why an icemaker cannot be used with freezer/refrigerators, an icemaker just has a size 1/4th of a refrigerator or freezer and icemakers can create ice but cannot keep the ice frozen for long periods of time. One of the other major differences is in its working, icemakers once filled with water makes ice, but, the ice will start to melt, the water will trickle back to the reservoir and the freezing process will start again. This process continues until the ice or water is emptied from the icemaker. Ice production – A portable ice maker is estimated to produce about 20lbs per day on an average. However, there are people and household that requires more than this ice, don’t worry there are icemaker models on the market today that can produce almost 30lbs ice on an average per day. So, while purchasing an icemaker check the specification, find out how much ice the product can make per day, and then select the product accordingly. Type of Ice – Most of the portable icemakers out there on the market produce a semi-soft bullet shaped ice cubes with an unclear (cloudy) color. However, not all people like cloudy bullet shaped ice cubes; so, there are icemakers that make clear restaurant – quality ice cubes. Therefore, while purchasing an icemaker you have to two options, select the one suitable for your needs. Size of Ice – Not all icemakers make ice cubes of the same size, most people neglect the size of the ice cubes, this is because most of the ice cubes come in the same size, but, if there is a notable difference in size, it could annoy you. You will not appreciate having annoying big ice cubes in your cup or mug. Standard icemakers provide up to 3 different ice cubes, but some devices don’t. 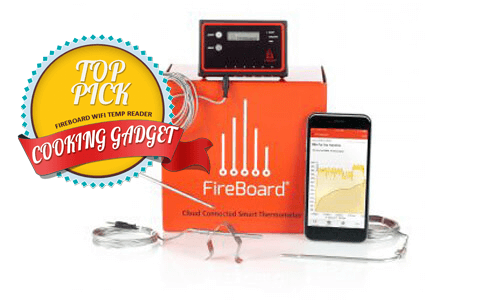 Check the product specification and purchase accordingly. Storage Capacity – It simply indicates the quantity of ice the product can store at a time, I have already mentioned in the beginning that once the ice cubes are made and if it is not removed from the product it will melt and the device will freeze them again. Cycle time – Some icemakers take 6 minutes to some take almost 20 minutes. This is the average time taken by an icemaker to produce almost 9 ice cubes, if you are not a person with high demand for ice cubes, then a slow cycle time icemaker is suitable for you. However, if you think you might have a huge demand for plenty of ice cubes, then consider buying a device that takes the least time to make ice. Style – icemakers come in different style and design. You have numerous products on the market to choose from if you are serious about keeping your kitchen or bar stylish check the different styles and design that go with your room settings and then purchase the product. Energy consumption – Yes, icemakers come with energy star ratings. You might already know the importance of energy star rating, so check the star rating of the product and then purchase the product with the maximum Energy Star Rating. Ease of use – You probably must have many electronic devices with more than dozen buttons/switches, some people are fine with it, but the majority of the users often mention it to be annoying and painful to deal with. I would recommend that you consider purchasing an icemaker with least number of buttons which could enhance the ease of using it. Here is the list of 5 best portable icemakers on the market today. 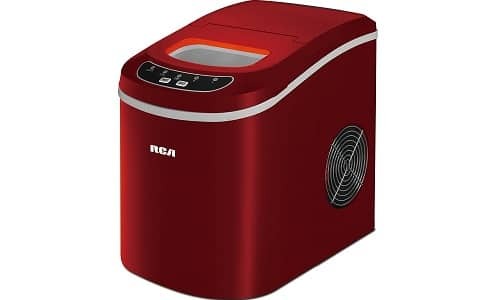 This icemaker from the brand RCA comes in red color and would be an excellent addition and match to your kitchen setting. NewAir AI-100VO is a portable icemaker from the brand NewAir and comes in different color variants. ➱ The product can make almost 28lbs of ice cubes per day on an average. 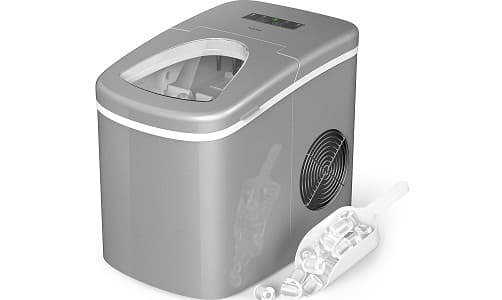 ➱ One of the notable features of this portable ice maker is that it can make a batch of ice cubes in just 6- 15minutes. The product if stored in places with high humidity can result in motors rusting. 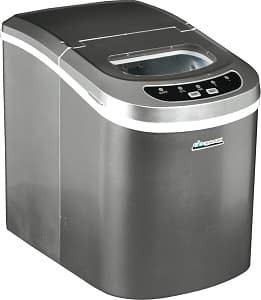 The Avalon Bay AB-ICE26S is a portable ice maker that can make up to 26lbs of ice per day on an average. 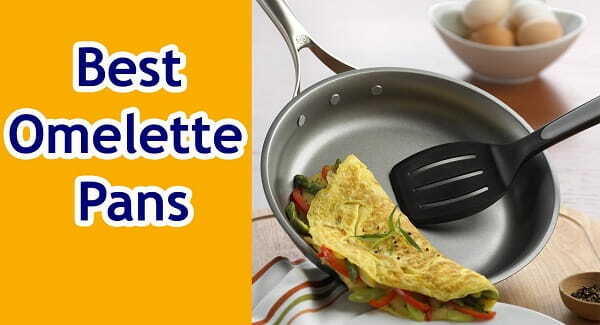 ➱ This product is compact, convenient, and designed to be ideal for small kitchen. ➱ Avalon Bay AB-ICE26S comes with a 32-ounce water capacity and the device consumes only 230watts power. This portable icemaker comes with a notably big reservoir and comes in two different ice production variants. ➱ The Igloo ICE103can produce an average of 26lbs ice cubes per day. ➱ One of the notable features of this device is that the manufacturer has provided the option to choose 3 ice cube sizes. ➱ The device takes only 6 minutes to produce a batch of ice cubes. 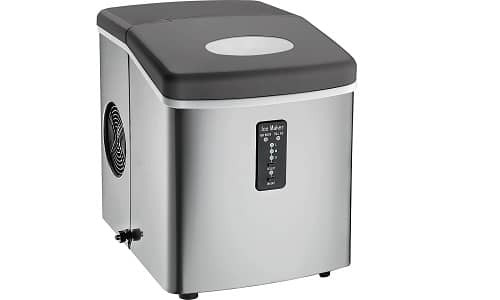 This grey color portable ice maker can make 26lbs of ice cubes on an average per day and has a 1.5lbs storage capacity. 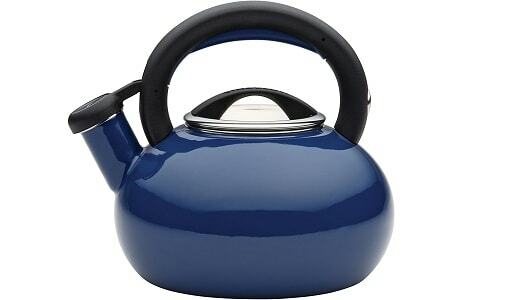 ➱ The product comes with removable ice basket and automatic shut off feature. The removable plastic trays will break if not carefully inserted back into the device. How to clean an icemaker? You should remember the fact that icemakers have to be cleaned regularly to prevent the device from getting damaged, most of the manufacturers recommend frequent cleaning on their guides. If you plan to clean the icemaker, make sure that you scoop out everything including the unused water and melted ice. Use an icemaker friendly cleaning solution to clean/wash the removable parts. 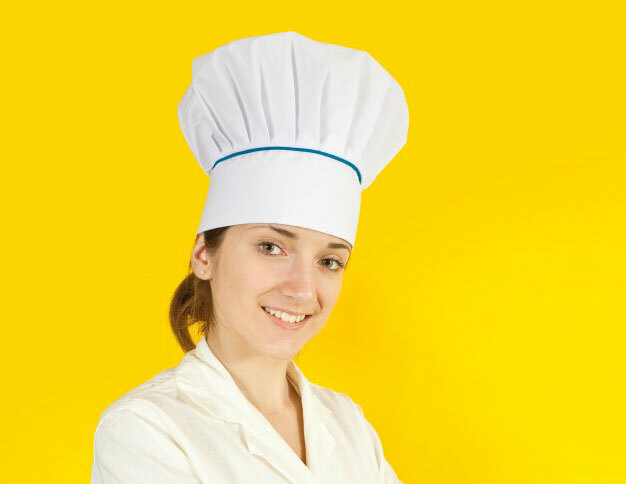 Some experts recommend vinegar or lemon juice as substitutes for chemical cleaning agents. Store the icemaker at a dry place. If the icemaker is cleaned, make sure you throw away the first batch of ice cubes produced. An ice maker as you have seen above comes with several features and specifications. 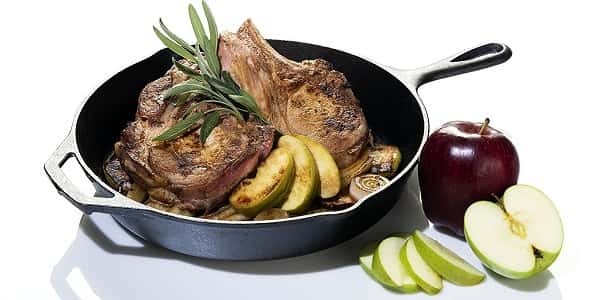 However, selecting the best product and purchasing it is not easy as you think, if you need the best product consider the products listed above and the factors above it.